Dr. Lepora is your tool to mastering transformational change and exponential growth in your life. Dr. Lepora is a charismatic visionary who specializes in transformation and change mastery. She has worked and consulted for Fortune 500 corporations, nonprofits, government entities and entrepreneurs. Through her coaching and consulting she has partnered with others to make change and/or participate in change successfully. Dr. Lepora is an exemplary coach, speaker, facilitator, consultant, and author, and most importantly, disciple for God. Like most of us, she has overcome obstacles to reach optimal life goals. In addition to her practical expertise and Prosci certified training, her resilience and ability to use faith in order to achieve is the cornerstone of what she shares with others. Change is an inevitable part of life. If your life isn’t changing, you’re not living. You’re not growing. Most changes are unnoticeable, small and deemed insignificant. What easily gets our attention are the “big” changes. “Big” changes that include getting a new manager, losing a job, losing a loved one, or moving to another state. Big changes, whether positive or negative can be stressful. However, those that are deemed negative and/or out of our control can be especially stressful. Dr. Lepora addresses the pertinence of having the "right" leadership for effective change. She will address the problems and challenges leaders and change management teams face during mergers, acquisitions and other organizational change efforts. She serves as a critical keynote speaker role during the change process and also for individuals within the change process. She is sensitive to the differing needs during change, whether applying to the leaders, organizational culture or mass individuals and is able to customize her speaking engagement accordingly. 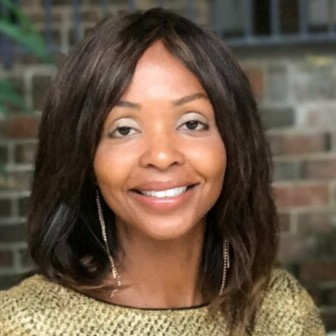 Dr. Lepora focuses on successful cultural transformation, performance success, individual development and win-wins.She is a certified expert in Human Resources (SPHR), Process Improvement (Six Sigma Black Belt), Change Management (Prosci) and Project Management (PMP & CSM). She coaches, speaks and facilitates workshops with a vision to help people achieve their best by living their unique life purposes with authentic joy. Whether adults, youth, executives, or students, Dr. Lepora relates to all with her genuine and compassionate approach.